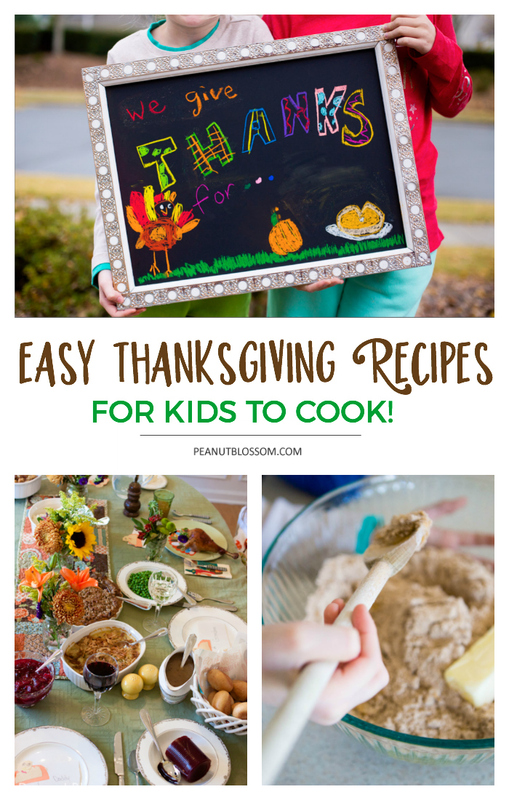 These easy Thanksgiving recipes for kids are the perfect way to get your little helpers involved with the holiday preparation. They will be so proud when they carry the platter of food they prepared to the table. 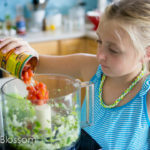 And if they want to help even more, be sure to check out The Ultimate Kids’ Cookbook for easy dinners your kids will love making all year round! Kids love having real responsibility for preparing important dishes for family celebrations. If you’ve been shooing them into the living room while you slave away over the turkey alone in the kitchen, you’re missing an amazing opportunity to encourage your kids and spend time with them this holiday season. At all ages, kids are more than capable of cooking with us. It is all about finding the just-right recipe that meets them at their level. 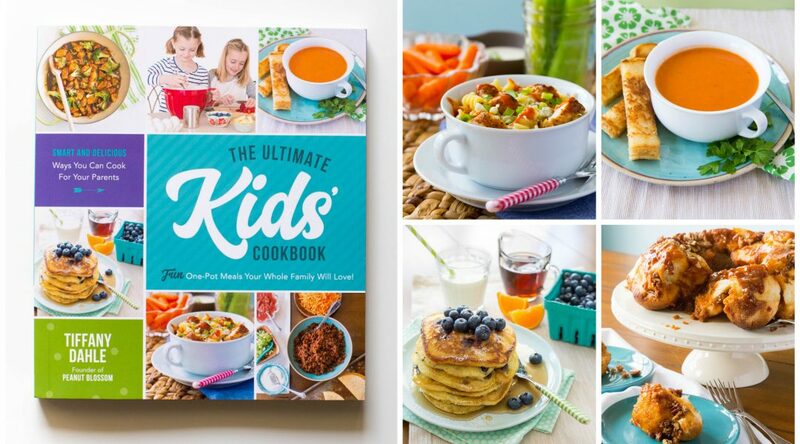 This is exactly why I wrote The Kids’ Ultimate Cookbook! I firmly believe the most magical family memories are made when cooking with your kids. 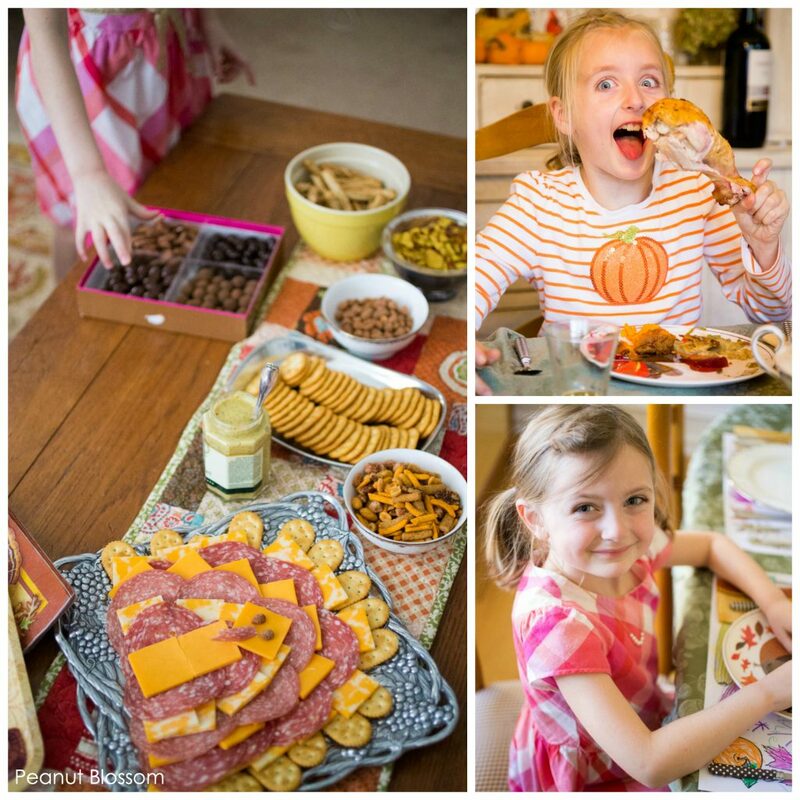 This Thanksgiving, set your kids up with one of these festive holiday dishes. What they are capable of cooking on their own will simply blow you away! Once they are hooked, you can surprise them with a copy of the best cookbook for kids as an awesome gift for Christmas. Pair it with one of our favorite kitchen tools for kids and you’ll have a unique gift they’ll use all year round. P.S. Quick, before you get to the recipes . . .
1. Pumpkin bread: This one-bowl pumpkin bread recipe is a family favorite. It is simple enough for the kids to bake all on their own. 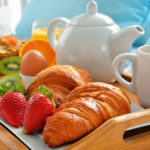 Even better, you can give them all the space they need to make it the day before Thanksgiving and serve it as a simple breakfast or snack while the turkey cooks. 2. Sweet potatoes with brown sugar streusel: This is my personal favorite Thanksgiving recipe. If your kids are hesitant to try sweet potatoes, this would be the perfect recipe to get them interested in trying a taste. The streusel topping is best made by pinching the butter and sugar together so it is a very hands-on recipe that kids will love to make. They’ll also love mashing the soft potatoes and stirring in all the sugar. Get the recipe here. 3. Green bean casserole: The classic recipe on the side of the French’s Fried Onions container is our favorite. We always substitute cream of chicken soup instead of the cream of mushroom. For the youngest of kids, this is the perfect recipe because it is mostly stirring and a tiny bit of measuring of the milk. But, it’s a recipe you can feel confident passing off! Get the recipe here. 4. Sugared cranberries: This impressive but CRAZY EASY garnish is the perfect topper for any of your desserts. 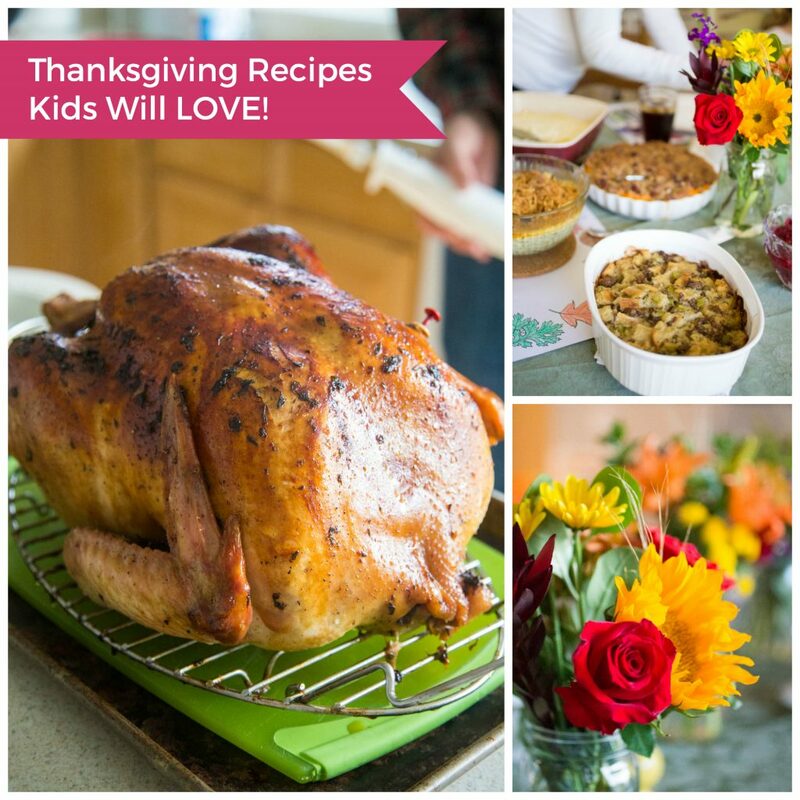 The kids can make them the day before or easily the morning of Thanksgiving while the turkey cooks. Get the simple sugared cranberries recipe here. 5. Simple cranberry sauce: This is the easiest homemade upgrade for the entire meal. If you’ve been buying cans of cranberry sauce, add this to your list for the day or two before Thanksgiving. It all cooks in one pot and is super simple. The kids will love watching the berries pop open as they cook. Get the recipe here. And don’t miss these 20 awesome fresh cranberries recipes for Thanksgiving, there are great ways to use the leftover cranberry sauce included! And before you sit down at the table, take a moment to teach these SUPER IMPORTANT table manners!! We create memories in the kitchen too! 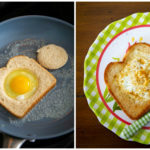 My boys are excellent chief pantry runners but when it comes to the actual preparation, well, I’ve lost count on how many times an egg has been dropped on the floor! These recipes all look delicious. I’m keen to make the pumpkin bread first so we’ll see how we all go. Hopefully it’s a fun and successful experience.